Halfie here. Giving you another Comprehensive guide for Chen since my Raynor guide. I'm a rank 1 HL player (halfnhalf#1782) with competitive success on Heroes of the Storm teams. I'm also a coach for Nihilism Gaming. Nice to meet you! 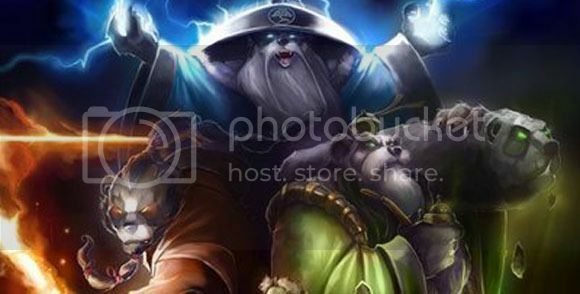 Chen fits into the bruiser classification of Heroes of the Storm warriors but it is possible to be tanky with him as well. Chen can dish out some real damage and is different from many warriors in the fact that he is very mobile. Competitive Warrior - Overall the most effective build in my opinion. Pick this build if you want a professional edge. Based upon Team Liquid's LuciFroN build. Maximizing Damage - If your team composition needs more damage as opposed to a tank, then choose this build. Off-Tank CC - Pick this build if your team already has a dedicated tank but has little Crowd Control. This One's on the House - If your team is full of front liners, especially squishy ones. [-] Threats are Heroes with high mobility or sustain & disable. Your auto-attack damage scales from 50 starting damage (+7 per level) which is high starting damage but only average damage per level. This should signify Chen's early game strength and harassment. Your starting attack speed is 1.11 attacks per second and this is good enough to maintain a single attack between each ability. A bit slow compared to another Bruiser such as Sonya with 1.25. Even with The Butcher's 1.11. Faster than Artanis with 1 attack per second. Kick through target enemy, dealing 55 (+10 per level) damage. Smash your keg, dealing 15 (+5 per level) damage and drenching affected enemies in Brew, slowing by 25% for 3 seconds. Breathe a cone of flames, dealing 39 (+9 per level) damage. Enemies soaked in Brew are set on fire, dealing 39 (+9 per level) damage over 3 seconds. Drink from your keg, gaining 40 Brew and 86 (+20 per level) temporary Shields per second, up to a maximum of 258 (+60 per level) while drinking. Shields persist 2 seconds after you stop drinking. Split into three elemental spirits for 15.15 seconds, each with 50% of your maximum Health, and enables two new leaping attacks for use. Spirits to smash a targeted area for 14 (+4 per level) damage per Spirit alive and enemies in the targeted area are slowed 20% for 2 seconds. Order the Spirits to immediately spread out, jumping a short distance away from each other. Roll around inside an Unstoppable barrel, dealing 35 (+5 per level) damage to enemies in the way and knocking them back. Lasts for 5 seconds. Regeneration Master is chosen for its ability to provide additional health regen so that Chen can stay on the battlefield longer without having to teleport back to base. This talent allows Chen to tank better, stay in more teamfights and gather more experience. With enough globes late game, the health regen can pass for healing from a support. If you've ever played League of Legends or Dota, you know how invaluable health regen is, allowing your hero to stay in the fight and not lose out on essential experience. Keg Toss is unnecessary. On the attack as Chen, you will already be in close proximity to your enemy and will not need the extra range. And if you want to pull off the Breath of Fire + Keg Smash combo (setting enemy on fire) then you need to be close to your target, otherwise you won't be able to pull it off since Keg Smash has a duration of only 3 seconds. This talent also adds travel time since the keg is not instant, therefore, you are actually giving your enemy a bit of time more to dodge the ability. Grounding Brew has a strong effect for tanking but is too situational for it to be taken over a constant talent like Regeneration Master. As Chen you will be alternating between your abilities AND drinking brew and this means that you can't simply use Fortifying Brew forever, otherwise the enemy will just focus your teammate instead. Also 25% ability damage reduction is good but its definitely not as significant as Spell Shield which provides 50% reduction for 3 seconds. Consuming Flame adds significant damage to Breath of Fire extending the burn duration from 3 seconds to 5 seconds, making it 67% more effective. This makes Chen even better at wave clearing and harassing enemy heroes early game. Amplified Healing can be taken if your team has a healing support and it has synergy with Regeneration Master and Brewmaster's Balance. This talent alleviates the pressure on your support by granting larger burst heals and strengthens your regeneration. Deadly Strike adds 50% extra damage to your Flying Kick and can be picked if your team is lacking damage. Deep Breath is a novice choice and outclassed by the other talents. I'm sorry to be blunt but I'll explain. The arc on Breath Fire is already enough to hit a entire wave of minions, you don't really need more, especially since Chen is a melee warrior. The reduced brew cost is actually bad, since you actually want to be using Fortifying Brew as a shield, you won't have problems with Brew costs and if you take Brewmaster's Balance you want to be able to manipulate your brew amounts (i.e. Use your abilities to lower your brew) to have it low enough brew to gain movement speed. Brewmaster's Balance increases Chen's capacities in almost every respect. The best part of this talent is that it gives you +20% movement speed when your Brew is below 50. Since you'll use a majority of your abilities whether chasing or escaping, this talent allows you to do those actions more effectively. Either allowing you to catch up to an opponent who is running away or guaranteeing your escape after using your abilities to further yourself from your enemy. Additionally, when you are using Fortifying Brew as a shield, your high brew will give you a minimum of 22 (11.5 + 1.5 per level) Health per second to give you that bit more sustain. You can also use this regeneration to heal you while you soak EXP from a lane. With this talent, it is important to always be aware of how much Brew you have but the talent makes this easy, you either have more than half brew or less half brew. Full Keg increases the effectiveness of Keg Smash, increasing the damage and radius by 50%. However, Keg Smash deals the least damage of Chen's abilities so keep that in mind. Combat Stance doesn't add nearly as much sustain as you'd think. When you're the primary target, the shield's provided by Fortifying Brew will quickly go down or be replaced. This talent does allow you to keep those shields while harrassing ranged heroes, because smart ranged assasins will just utilize their distance. The additional 3 seconds is important for the Enough to Share ability, since it makes the shields you give to allies last longer, provide just more sustain for the team. Ring of Fire is a better but temporary Burning Rage. It adds begins with 33 damage per second (13.75 + 2.75 per level) aura that lasts for 5 seconds (basically as long it takes you to complete the full combo - Breath of Fire has a 5 second cooldown). Burning Rage adds only 12 + 2 damage per level but is a constant effect. Nonetheless, this talent adds quite a bit of sustainable damage and makes Chen a deadly force in a long drawn out fight. Storm, Earth, Fire give you three things big things: more damage, more mobility and extra life. Important: You control all three Spirits as one hero, you do not control all three individually. Also this ability is channeled so it can be interrupted by a stun, in which case, the ability will be on cooldown for 10 seconds. You can contest points in Spirit Form. Between the three spirits, their auto-attacks deal quite of damage (See 'Spirit Damage' below). Storm attacks at medium speed with a ranged attack. Earth attacks slowly with a melee slow. Fire attacks quickly with a fast melee attack. This talent gives you two kinds of leaps. The first leap, Triple Attack brings the three spirits to converge on one spot and can leap over walls. The second leap, Split Up, separates all the Spirits and is best used dodge AOE abilities or for a bit more chase (keep in mind that this requires positioning, and will only allow 1 spirit to get closer while the others catch up). Using this ultimate splits you into 3 spirits with 50% of your maximum Health so you can use this ability to extend your life by another 150% health. Notably, if your spirits die, then you do not die but merely appear at the place where the last spirit died with the same health you were at when you used the Heroic ability. Storm attacks at range for 35 (+5 per level) damage. Earth attacks slowly for 23 (+3 per level) damage and slows enemies by 25%. Fire attacks quickly for 19 (+1 per level) damage. Relentless is picked up to minimize the opponent's crowd control abilities upon Chen by 50%. Since Chen relies upon his mobility and uninterrupted Heroic and/or Fortifying Brew, it is essential that you reduce any crowd control effect, silences, roots and stuns in particular. Brew Strike is a poor talent choice. Keg Smash has a small AOE and the CD reduction depends upon heroes hit. You would need to consistently hit three to five heroes with Keg Smash to get any noticeable reward since Flying Kick already has a low cooldown of 5 seconds. That just won't be possible in a competitive game. A Touch of Honey sounds delicious but an additionally 15% slow on Keg Smash isn't necessary unless your team is in desperate need of CC (Crowd-control). Enough to Share is a beautiful talent, as Chen shares his keg and drinks, a lotus will appear around him. The shields you bestow on your teammates pale in comparison to your own. This talent will initially shield for 86.5 (21.5 +5 per level) per second compared to 386 shield (126 +20 per level) for yourself. The talent is noticeable if your team has many front liners (warriors/melee assasins), but in teams with ranged assasins or specialists, you'll find that coordination will be much harder and your squishy teammates will hesitate to enter your lotus. Pressure Point adds a significant slow (90%!) to Flying Kick. This talent gives the CC to chase down targets, or stop an opponent in their tracks. The effect is extremely noticeable and allows you to constantly chain your combos without having your opponent run off on you. Great talent for ganking. Bottomless Mug only has a cooldown of 5 seconds and you'd only want to reduce that to either gain brew more frequently or gain shields more frequently. Bolder Flavor just does that better. 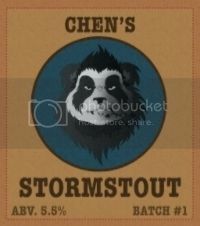 Bolder Flavor buffs Chen's Fortifying Brew by shielding more and quicker. The increase to your survivability will be immediately apparent and will give you more time in combat by reducing time to replenish your brew. Combination Attack basically allows you to deal 100% bonus damage on your basic attack every Flying Kick. It gives Chen more burst damage but Pressure Point will net more overall damage by allowing you to pull off more combos. Elemental Conduit is the way to go if you have chosen all the recommended talents and you are playing the bruiser role. This talent will add a random spirit to all your abilities and adds significant damage or even a slow to your regular abilities. 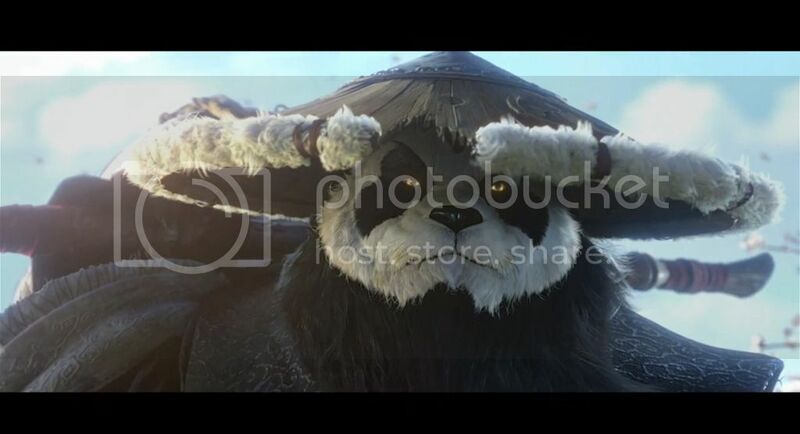 Bolt of the Storm is always a good choice because it provides versatility on the map and allows Chen to escape, re-position in team fights or ambush/chase. However, with all the mobility that Chen has between his talents and his abilities, this "blink" or teleport ability can be passed up for some damage. Untapped Potential is the funniest talent in the entire game. You become Sonic the Hedgehog. Unfortunately, since Wandering Keg is unreliable, the increased speed just goes to waste and only causes hilarious chaos or guarantees your escape. My crowning achievement was where I used this talent to knock an opponent Arthas from mid-lane to my own core. Hardened Shield should be picked up if your team is relying on you to tank. No questions asked. Can also be taken if the enemy team is full of burst damage or CC that interrupts your Fortifying Brew. Combo for Lane harrass and wave clear. Take a lane closest to the starting objective. Attempting to simultaneously clear waves and harrass enemy heroes. Use Keg Smash when the opposing minions meet, try to get the enemy hero as well. Follow up with Breath of Fire to clear the wave and harrass the enemy hero as well. Use Flying Kick if the enemy is still in range. Avoid enemy tower range. Immediately use Fortifying Brew for the full duration or until Keg Smash is off cooldown. Always be soaking EXP unless ganking or taking objective. Rotate to other lanes whenever necessary for early ganks or more experience. Take mercenaries when you have room in your lane. Be careful of enemy heroes trying to gank you. Don't over-extend. Pay attention to Map Objectives, they take precedence over your lane. Lane with allies. Defend your Angel/Demon Immortal first and focus on Heroes. Let your assassin(s) do the damage to the Immortal unless you are free to do so. Storm, Earth, Fire is the recommended Heroic because the middle is highly contested. Therefore, Battlefield of Eternity is a contesting-oriented map. First treasure chest is at 50 seconds. Use your combo to zone and secure it for your team or use Flying Kick to steal. Maintain control of Pirate Captain area, using the middle maze area to get behind the enemy or attack from afar. Help team-mates with a surplus of coins, focus enemy heroes with coins. Storm, Earth, Fire is the recommended Heroic because treasure chests, merc/coin camps, and middle are all highly contested. Therefore, Blackheart's Bay is a contesting-oriented map. Utilize your mobility, and sustainability to contest the curse. Stay grouped with your team for the objectives. Storm, Earth, Fire is the recommended Heroic. This is a push-oriented map where huge level advantages can be gained during the Curse phase. Take a side lane but you can also lane middle effectively with your sustain. Dragon Knight is prioritized over anything. Save your heroic to capture moon or sun shrines. Storm, Earth, Fire is the recommended Heroic but Wandering Keg could theoretically be taken to push enemies out of shrines while your teammate captures. This is a contesting-oriented map. Your mobility and sustainability is amazing on this map, allowing you to quickly rotate and fight for the Giant Terrors. Storm, Earth, Fire is the recommended Heroic. This is a push-oriented map. Lane with the majority of your team. Time your capture of your side's Siege Camp so they reach the enemy golem as its about to reach the gate. Middle mercenary camp can be taken if you lost the mines. Storm, Earth, Fire is the recommended Heroic. This is a push-oriented map, contesting is limited to the Mines themselves. Win the teamfight or zone the enemy team out before you start the objective. This map has the tendency to snowball quickly due to the strength of the Infernal Titans. This is heavily a contesting-oriented because of the Shrines' importance and frequency so you want to maximize contesting traits. Deep Breath could allow you to kill more minions. Take top or middle lane to begin. Zone the enemy out of the Temples. Storm, Earth, Fire is the recommended Heroic. The Temple zones and boss camp are contesting-oriented. Since the lanes are so close together you can maintain a 4-man gank squad that roams top and middle lane while an ally soaks bottom lane. Turn in the Spider Gems frequently but don't turn in near enemies. Storm, Earth, Fire is the recommended Heroic. This is a push-oriented map, contesting is limited. Dear Reader, Do me a kindness and thumbs up this guide. patch that Blizzard has to offer.